The All Results Journals: Chem is having Dr. Dingbang Xiong as a new volunteer. 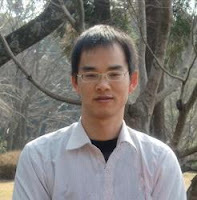 Dr. Xiong is now a JSPS research fellow at Kyoto University and focuses his research on the development of new thermoelectric materials. * The information, training, support and the material necessary to exercise the functions assigned to it. * Active participation within the organization, design, evaluation and programming of the activities. * Opportunities for professional development and social interaction with other volunteers.